Lilly has made a series of structural changes to its leadership team just as former Lilly Bio-Medicines president David Ricks takes over from John Lechleiter as the company's president and chief executive officer. 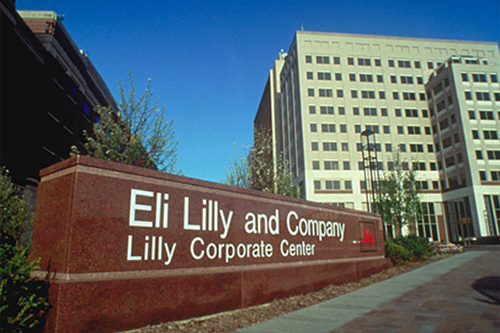 From next month, Lilly's diabetes, oncology and bio-medicines divisions will assume commercial responsibility for their products in China, adding to each unit's existing operations in the US, Canada and Japan. Additionally, Lilly Diabetes will host the company's commercial operations for North America, China and Japan. While Dr Sue Mahony will oversee this change at Lilly Oncology, continuing in her role as president, Enrique Conterno, currently president of Lilly Diabetes, sees his position expand to include responsibility for Lilly's US operations. He succeeds Alex Azar as president of Lilly USA, who leaves the company after five years in the role. Lilly said the changes would result in 'a reduction in leadership positions', but told PMLiVE they could not provide any additional information on the scale of those cutbacks at the moment. Commenting on the changes Ricks said: "Lilly begins 2017 with a clear view of its opportunities for growth in the years ahead. “The adjustments we are announcing today to pharmaceutical therapeutic and geographic business areas are designed to maximise the potential of our late-stage pipeline and newly launched medicines, while improving productivity." The move also sees Christi Shaw, who returns to Lilly after time at Novartis and Johnson & Johnson, take over from Ricks as senior vice president and president of Lilly Bio-Medicines. Shaw will lead the division's focus on immunology, neurodegeneration and pain, as well as a number of the firm's already established treatments. In addition to the restructuring of Lilly USA, Oncology, Diabetes, and Bio-Medicines, the company is also making changes across the pond, merging its European operations with its emerging markets business to form Lilly International. Alfonso Zulueta, who previously led Lilly Emerging Markets, will assume responsibility for the new combined business and serve as a senior vice president at the wider firm. Ricks added: "With new medicines recently launched - and potential new medicines in development for cancer, diabetes, autoimmune diseases, neurodegeneration, and pain - Lilly is in the early stages of a new growth period. "Now is the time to make sure that our organisation is setup to make the most of these opportunities. With clear priorities and the right structure, achieving growth while improving our productivity will go hand-in-hand.